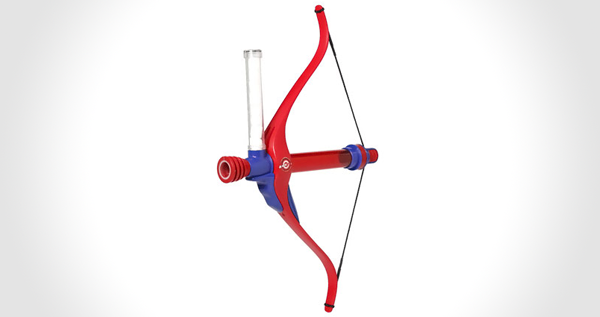 If you arn't content with shooting your marshmallows from your Marshmallow Crossbow then you need to get yourself a Bow Marshmallow shooter. The Bow Mini Marshmallow shooter will fire your mini marshmallows 30 ft! See if you can get it in your friends mouth from that distance! Good luck budding archers.